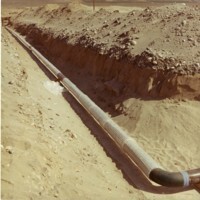 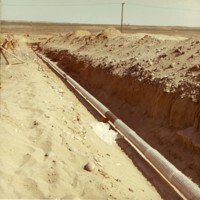 Pipe running through long ditch." 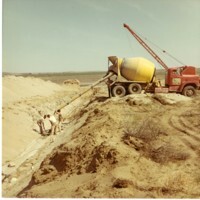 Cement filled into a wooden holder (in a ditch)." 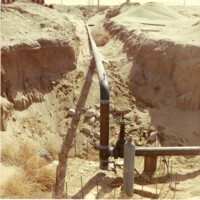 Pipes running through a ditch." 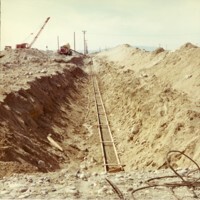 Ringold in background on left and Taylor flats in background on right. 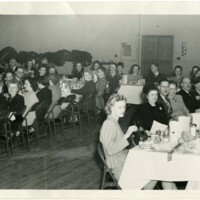 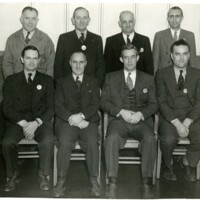 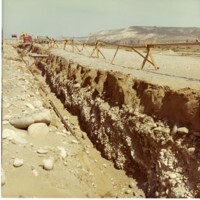 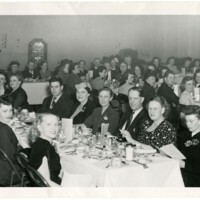 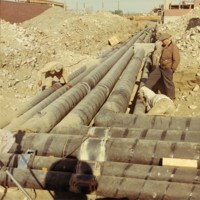 Text on back of image reads: ""Taylor Flats in background on Ring old background on left""." 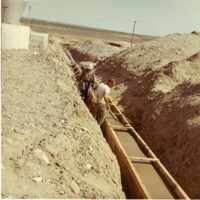 In background there are men in ditch and also machines outside of ditch." 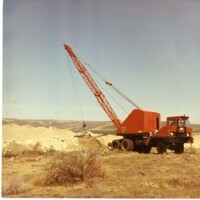 Taylor Flats in background, Franklin side of Columbia river. 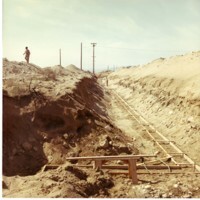 Tet on back of image reads: ""Taylor Flats in background Franklin side of Columbia R. Might be part of water supply system to wppss.""." 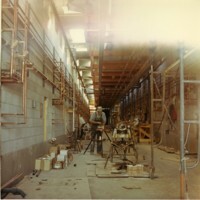 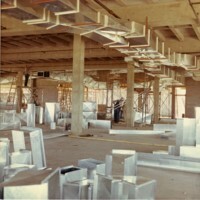 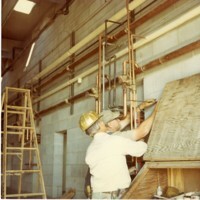 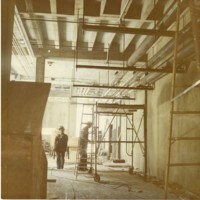 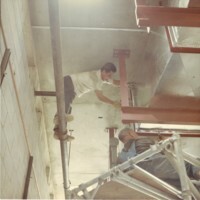 Several pipes on the wall and a ladder." 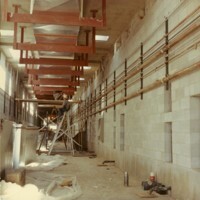 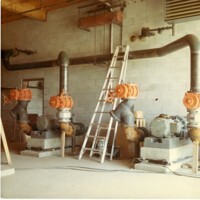 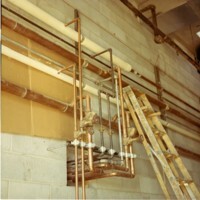 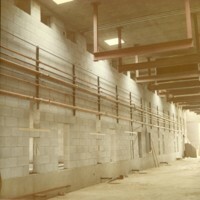 Several pipes running against wall. 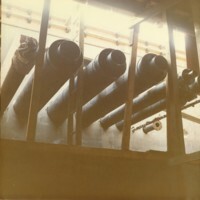 Some pipes also coming out from the bottom of the wall." 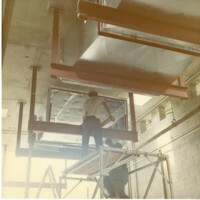 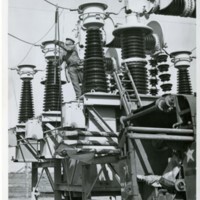 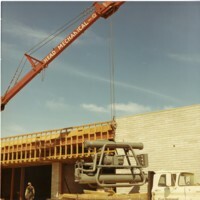 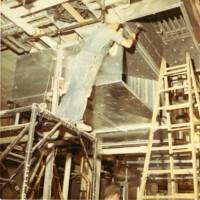 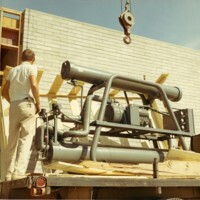 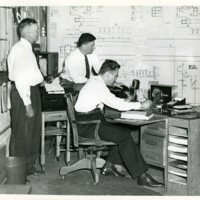 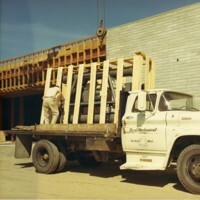 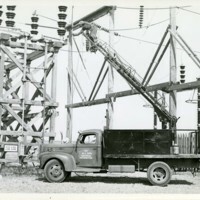 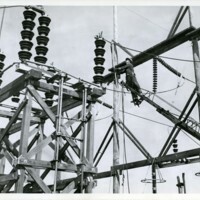 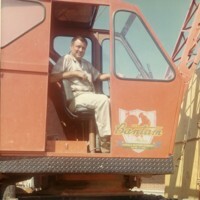 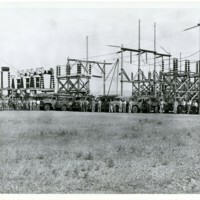 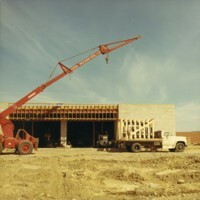 Large building under construction along with men at truck and large machine." 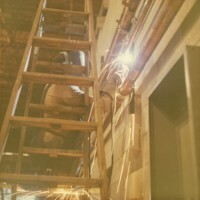 "1 photograph; 25.2 x 25.7 cm. 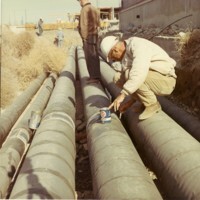 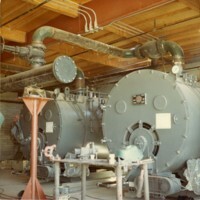 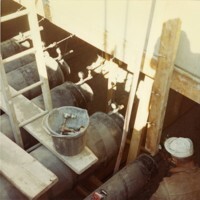 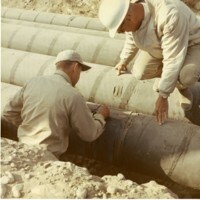 Large cylinders with pipes connected." 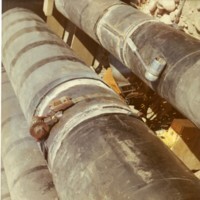 Several pipes going into wall on the side of the building." 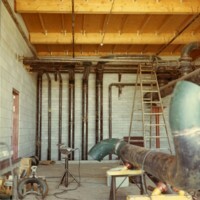 Several pipes coming up from the ground and going into building." 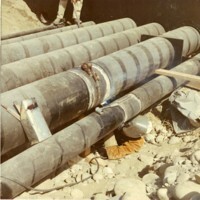 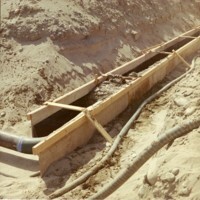 Several pipes going between wooden 2x4s." 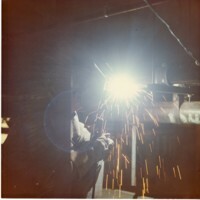 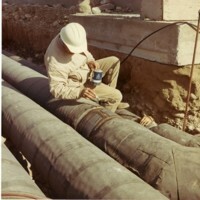 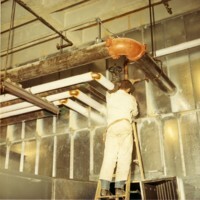 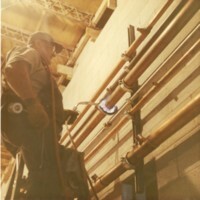 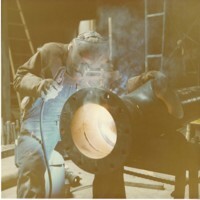 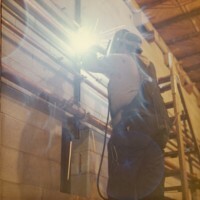 Man under pipes with welding mask using a welding gun on the pipes."